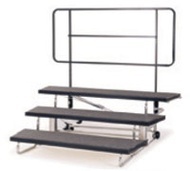 Standing choral risers bring life to your choir! 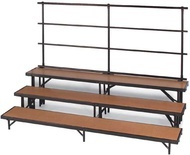 ChurchPartner offers a wide variety of standing choral risers for any environment from churches to schools and performance halls. Look below for our excellent products at exceptional prices. 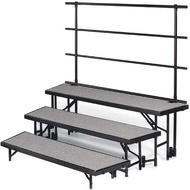 Free Shipping* on $700 or more of NPS Stages, Risers and Accessories! *Mix or Match stages, risers and accessories and they ship free anywhere in the lower 48 states through June!